Ich bin genug – Wir sind genug – Ich habe genug – Wir haben genug – Genug. Basierend auf dem Buch ‚Enough! 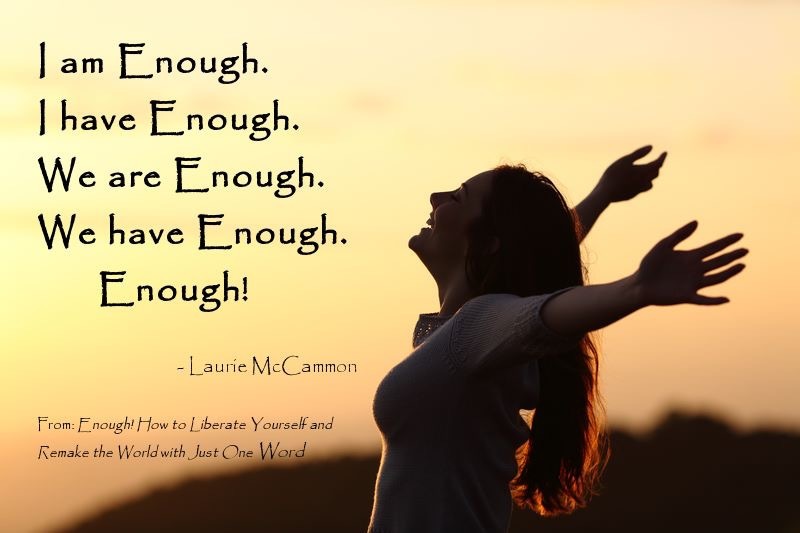 How to Liberate Yourself and Transform the World with Just One Word‘ von Laurie McCammon kamen im Frühling 2015 neun Expertinnen für Kreiskultur und unterschiedlicher Fachrichtungen zusammen, um sich mit diesem Thema intensiv auseinanderzusetzen. Es entstand der Wunsch, mit anderen zu teilen, wie wohltuend, friedenstiftend und nährend Genug ist. Das Companion Guidebook entstand in einem co-kreativen Schöpfungsprozess mit der Vision, dass viele Menschen die mehr als einhundert Übungen für sich persönlich und in Kreisen verwenden, um sich mit der Wahrheit von ‚Ich bin genug – Wir sind genug – Ich habe genug – Wir haben genug‘ wieder zu verbinden, um die Wahrnehmung von Genug wieder zu erwecken und zu einer guten Welt für alle beizutragen. Enough is not only a word or a paradigm. It is the cosmic abundance itself. The heart of All. And the deep soul contentment that comes along with it. This is exactly what we appreciated most in our co-creation of the Companion Guidebook: Nine wonderful co-authors have contributed out of their giftedness, inspiration, gratitude and abundance of medicine. With this book you are not only holding a Companion Guidebook in your hands, but a gift that was born out of enjoyment, the magic of circle, and the joyous way women love to create. That is what makes this guidebook so special. The guidebook contains not only a 100+ hands-on excellent exercises and practices but the whole depth, bliss and co-creative joy of nine women diving deeply into Enough, becoming and being it. We want furthermore the world to know that Enough is an active decision to take. It is not something to wish or to hope for. It is the truth of All in our Cosmos and must be consciously re-membered and realized. This is the gift of the book. It contains practices to enjoy, celebrate and savor Enough as a whole body, mind, heart and soul experience. 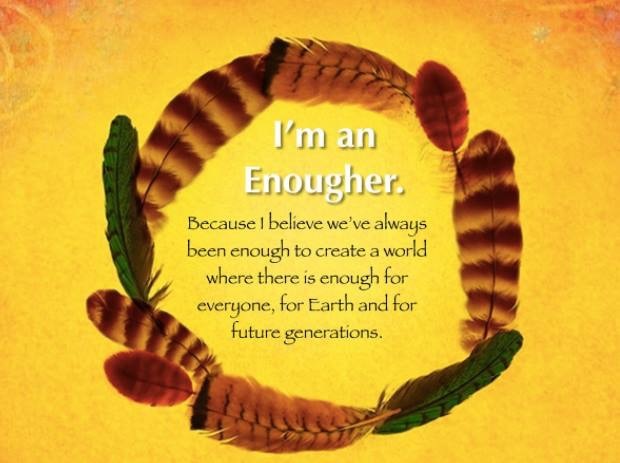 To become and be Enough and by that spread the good message of truth: ‘I am enough! – I have enough! – We are enough! – We have enough! 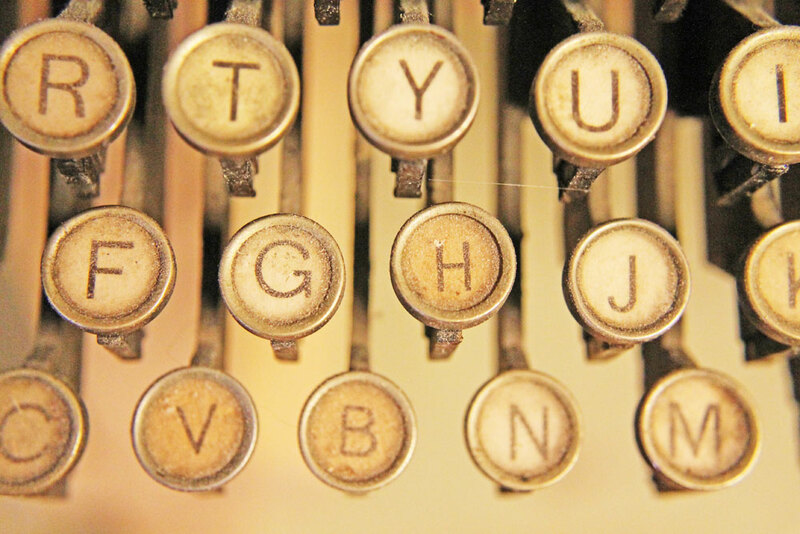 – Enough!’ and ignite and rekindle the truth in our world. Heart by heart. Together we rise. We know what we are speaking of and want YOU to experience this as well! Neun Expertinnen für Kreiskultur, Einzel- und Gruppentherapie, Seminarleiterinnen, Künstlerinnen, Autorinnen, Beraterinnen und Coaches führen in diesem Praxisbuch ihre kraftvollsten Werkzeuge zu diesem Thema zusammen. 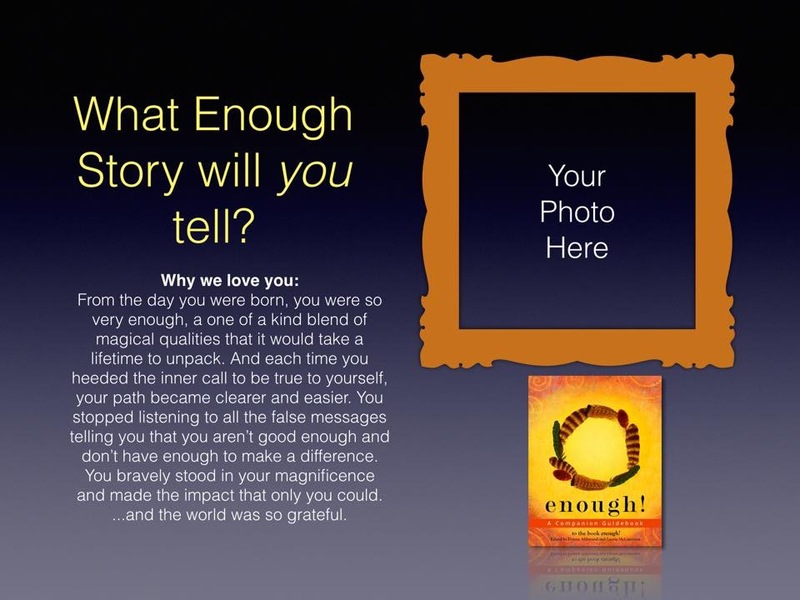 Eight women’s circle experts and one wellness expert have co-created the definitive guide to recovering the truth: You are enough and have enough. 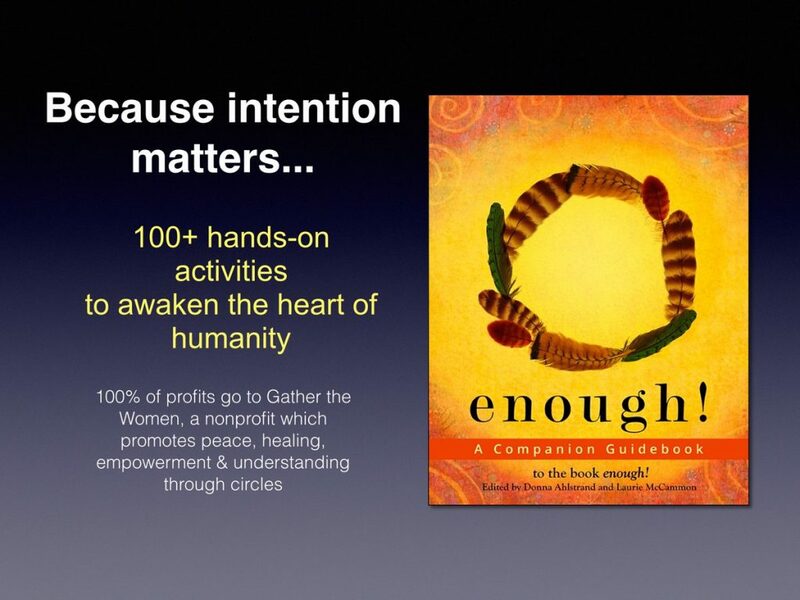 100+ hands-on activities for individuals and groups to activate powerful breakthroughs in self-love, healing, relationships, money, empowerment, resilience, trust, community-building and more. 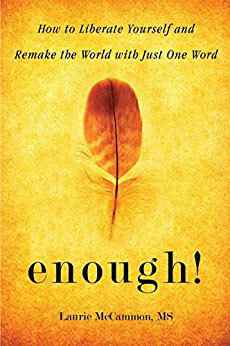 Based on the groundbreaking book, ‚Enough! 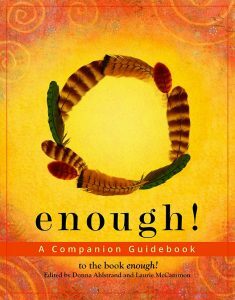 How to Liberate Yourself and Transform the World with Just One Word‘, the guide takes you on a deep dive into your life-long (and humanity’s millennia-long) upside-down relationship with the word „enough,“ a group delusion that is the root of all dysfunction, from personal to planetary. By confronting the untruths you have ingested about not being enough and not having enough, you liberate not only your own hidden power, potential and purpose, but you catalyze humanity’s conscious evolution. Der volle Erlös des Buches fließt Gather the Women Global Matrix™zu. Die neun Federn auf dem Buchcover repräsentieren die neun Co-Autorinnen und das Prinzip des co-kreativen Kreises, aus dem heraus das Buch entstanden ist. 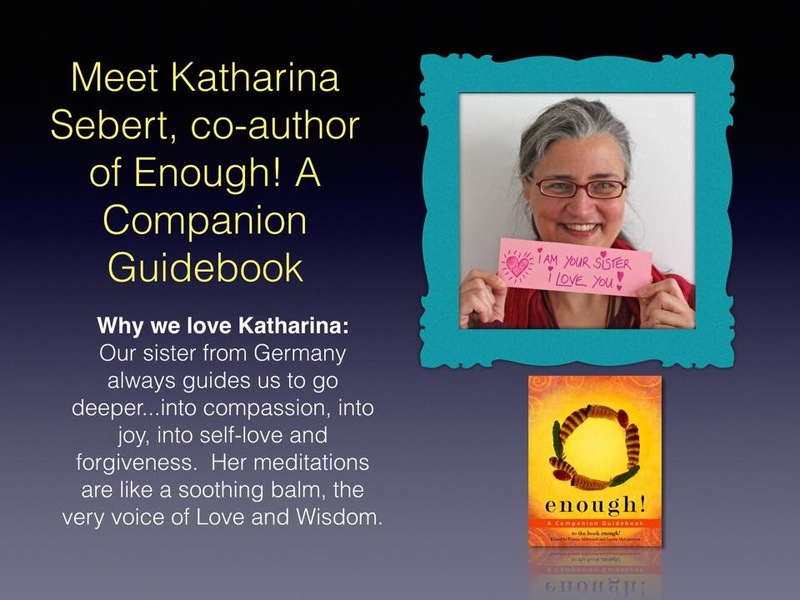 By Katharina Sebert, co-author of the Enough Companion Guidebook. Listen to: No.1 Way to Change the World? Join a Women’s Circle! 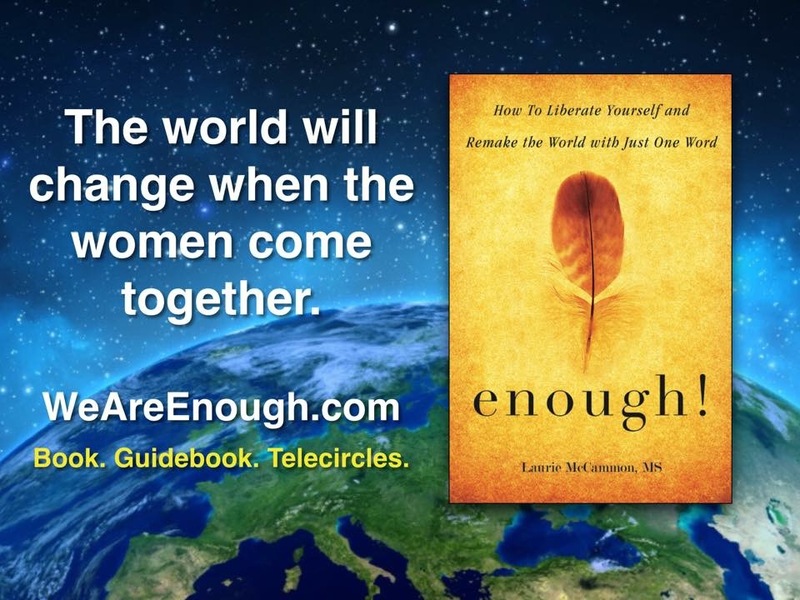 Laurie McCammon explains how joining a women’s circle is the single most important thing you can do right now to become resilient in these troubled times, to empower yourself, and to transform the world into a better place for all. The recovery of feminine power in ourselves and the world is THE transformational force that will bring a New Story for all humanity. Do you, like so many of us, believe that you will never have enough time, money, talent, or love to be truly happy? Do you think you’re not good enough, not rich enough or thin enough or smart enough, to have the life you want? Or that the problems in your community and the world around you could be solved if only there were more to go around? Everywhere, all the time, we get this message that there is something lacking, something more, something better to strive for. 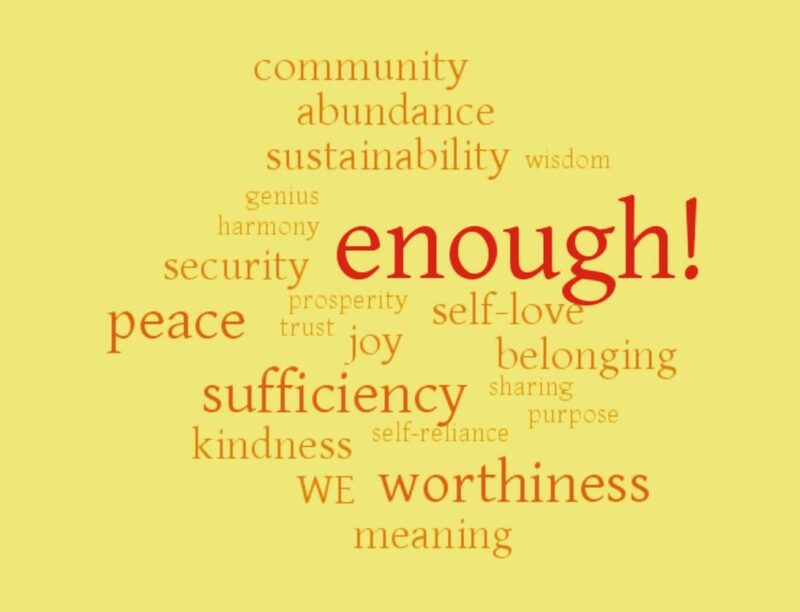 In fact, the idea that there isn’t enough or you aren’t enough is so deeply ingrained in us and into our culture that it holds sway over pretty much every aspect of our lives, from how we perceive our self-worth and our skills as parents, friends, and partners (I am not enough) to the ways in which we are taught and governed. But what if it’s a lie? Author and activist Laurie McCammon wrote this book to show you that it is all a lie. Discover how your own never-enough thinking has been limiting you and how to challenge it in all the places it lurks. 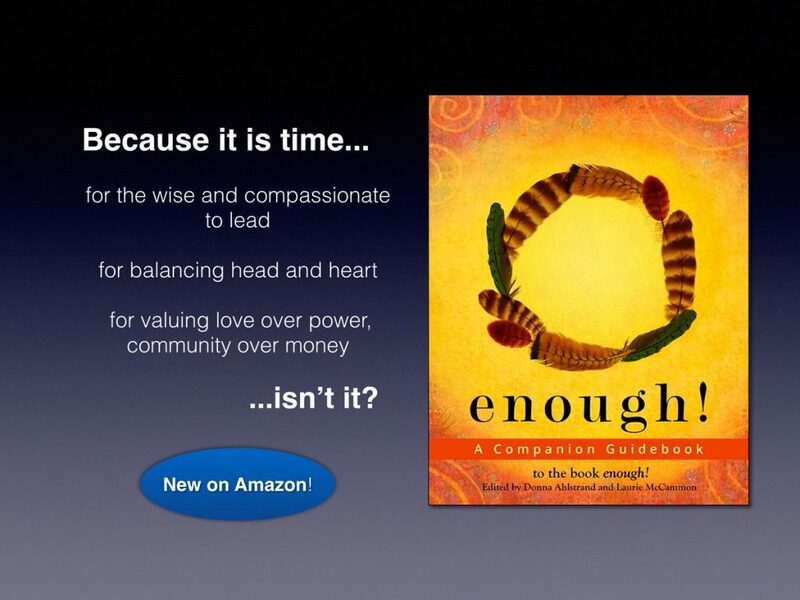 Let Laurie show you how to develop a sense of enoughness that can change not only how you feel about yourself but how you view time, your relationships, your work, and the possibilities for helping to shape a better world.